Shopping is fun in Stowe, Vermont. Over 70 unique stores compete for your attention in the charming New England village of Stowe. Shopping is always a lot of fun, whether shopping for clothes, shoes, jewelry, skis, or knick-knacks. 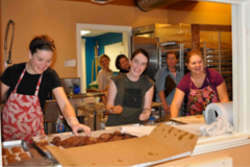 Here are some great places to shop in the Stowe, Vermont area. 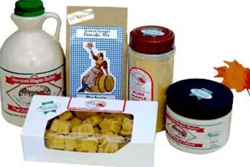 A family owned and operated business producing award winning pure Vermont maple syrup, maple candy & maple cream. Cheese, honey, cob-smoked meats, and more. AJ's Ski and Sports carries all the top brand name outdoor clothing, bike equipment, ski and snowboard gear. Not ready to buy? 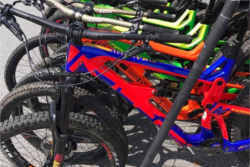 Rent bikes or ski equipment at AJ's. 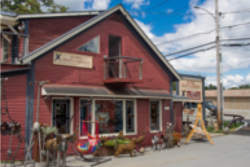 Stowe Craft is a unique gallery for the finest handcrafted art, jewelry, gifts and furnishings. The perfect place to find the perfect gift. 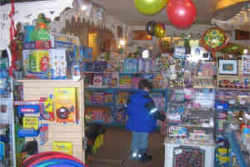 Once Upon a Time Toys brings the young, and young at heart, a selection of toys from around the world and from times past. Come explore! 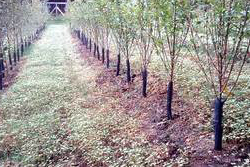 In our store we have everything to nurture your plantings, and to nuture you. - "If it grows in Elmore, it will grow where you are." Small batch chocolates made with socially conscience decisions from sourcing local ingredients, use of energy, and environmentally friendly packaging. 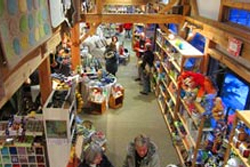 Discover art, jewelry, nationally recognized crafts, handcrafted furniture, fine art galleries, award winning Vermont specialty foods, clothing and sports equipment. 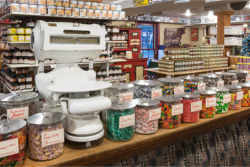 Stowe Mercantile is an old fashioned country store offering many locally made specialty foods and gifts. Need a special gift? Check out the mercantile's gift baskets. Whether you're looking for a small room for one night, or many rooms for an extended stay, check out some of our favorite places to stay in the Stowe, Vermont area. Enjoy the ultimate Family Vacation. With something amazing for every member of your crew, Smugglers' Notch has got you covered.